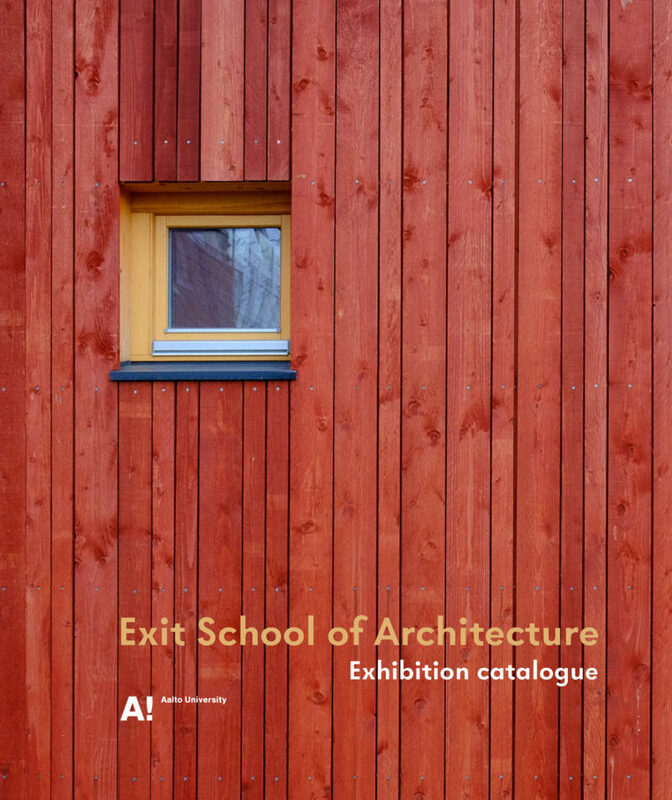 We at Group X have just published the catalogue of the exhibition “Exit School of Architecture”, held in the Dipoli building on the Otaniemi campus in September 12-29, 2017, within Human Cities Helsinki 2017, the group of activities held at Aalto University last September as part of the European project Human Cities_Challenging the City Scale 2014-2018. The Exit School of Architecture project examines shared local identities and meanings in new Finnish architecture. Which values and themes tie together users and designers, the private and the public? We looked at the works’ participatory methods to find what aspects of local culture and aesthetics are embedded in the design process and the final product. The exhibition demonstrates shared social and aesthetic values and reasoning behind the present Nordic Noir architecture in Finland. We present 14 recently completed projects and 6 diploma works that abandon standardized ways of building to find more meaningful, individual solutions to design problems in contemporary cities and landscapes while retaining shared aesthetic values of solitude, simplicity, and closeness to nature in materials and spatial expression. The projects form two categories – projects that increase the well-being of the community, and projects that enhance one’s contact to nature, which is tied to individual well-being. The works all emphasize calmness – they provide a place of safety, quietness and tranquility amidst the hustle of daily lives. Simultaneously they strengthen a person’s relationship with their surroundings by creating stories through architecture. The concept of Finnishness can be examined through the projects – what are the factors that tie Finns together, and how can these characteristics be materialized in a single building, or exported to create a Finnish experience abroad? All of the projects have their own answers, but the highlight falls on social well-being, quietness, and a deep respect and love for untouched nature. The catalogue has been published by Aalto ARTS Books within its collection ART + DESIGN + ARCHITECTURE, and you can find it here.